While it can be relaxing and very restorative to spend time outdoors, not everyone wants to or should be exposing themselves to the harmful rays of the sun. 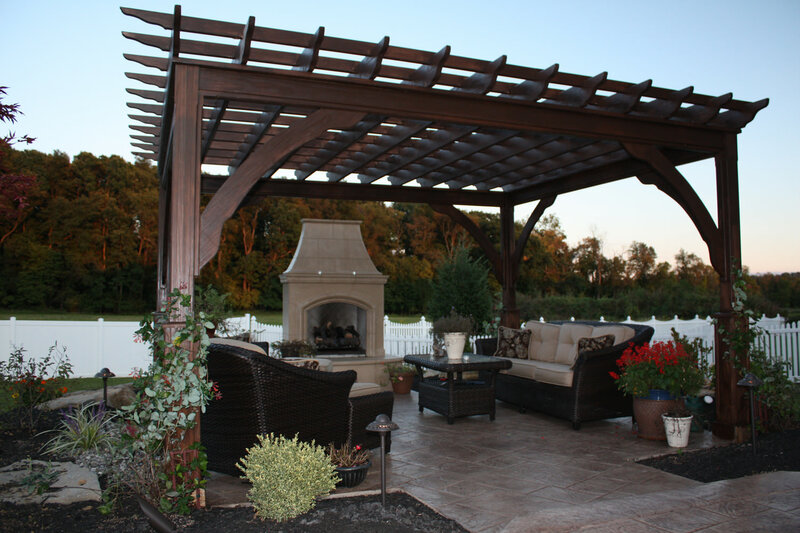 When planning an outdoor environment, you should include at least one source of shade in your designs. 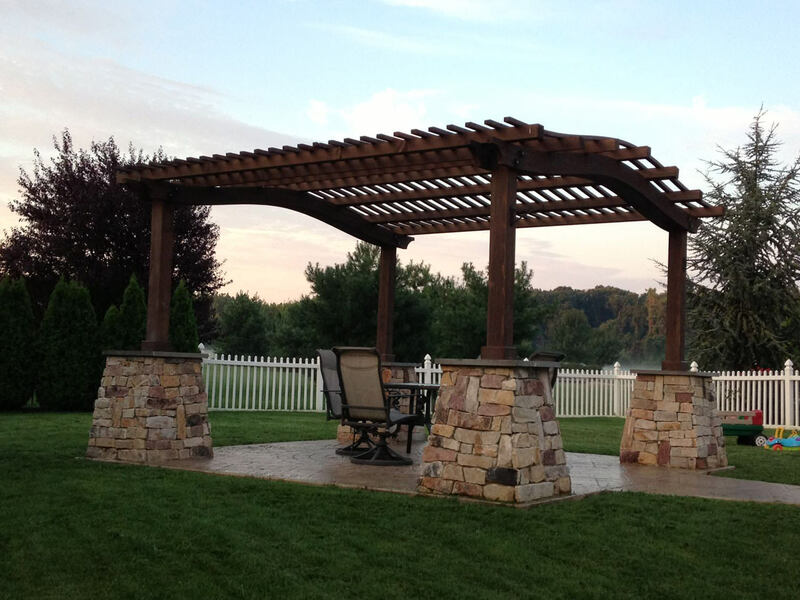 Shade structures include pavilions, gazebos, pergolas, shade sails, and awnings. 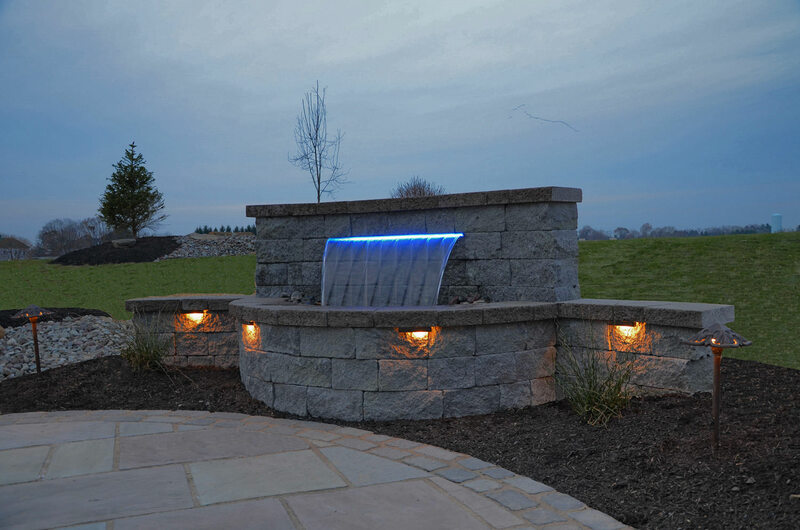 A water feature is a great addition to any landscape design. They are used for visual pleasure but moving water can drain out unwanted background noises such as traffic or commercial area. The right water feature for you backyard will depend on where it’s going. The size of the space you have to dedicate to a water feature will determine the size of the water feature you should use. For instance, a vertical water feature that spills water from the top to the bottom, creating noise would be best fit for confined spaces near a busy road; while a large pond would work best at a country side residence with plenty of open space. Most ponds are self-contained by using a water circulation system that includes sump pump. They are electronically controlled and can be put on timers and can be synched with lighting systems and sound systems. Outdoor sound systems can come in a variety of styles. 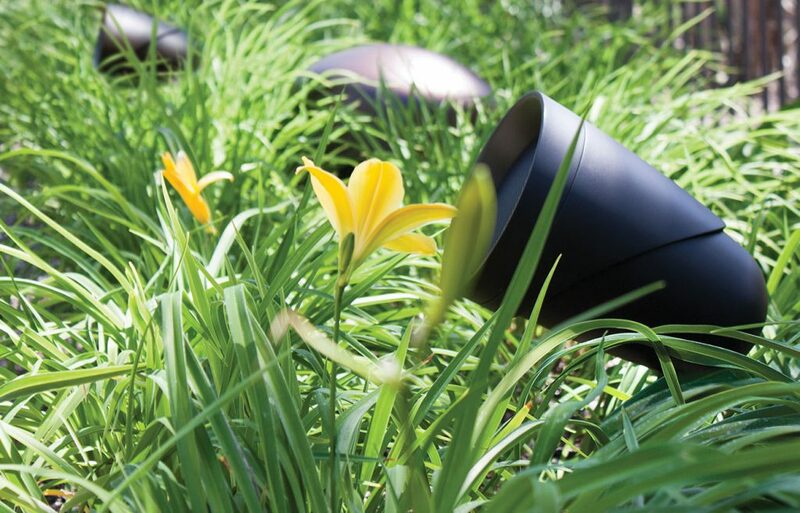 The speakers can attach to areas on your house or structures or they can be incorporated into the planting beds. Most of the speakers that go into the beds look like landscape path lights and some speaker are built to look like stones. Speakers can be attached to the house, decks and other structures and even tree as well. The overall goal in adding speakers is setting them up in a way that the system creates an even and balanced sound. 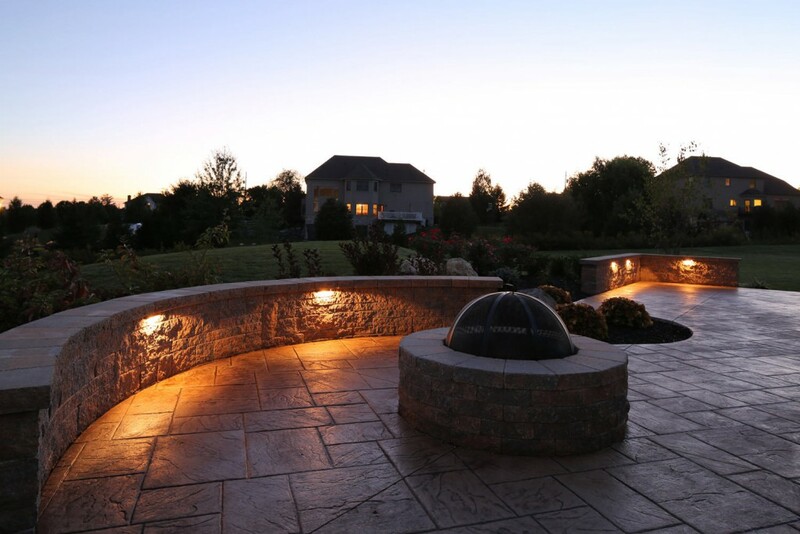 Outdoor lighting systems are a great way to add safety and security to your backyard project. Lights can be incorporated almost anywhere throughout most properties. The most popular areas being in landscape beds, into hardscapes and steps, deck posts, and attached to the house and other structures. Landscape light fixtures come in many different styles by so many different companies. Finding the perfect outdoor lighting system can be tough and the prices vary. Good quality light fixtures will last you a long time whereas cheaply made fixtures will easily damage. Spending a little bit of money for a quality product is not a bad idea when purchasing as set of lights. 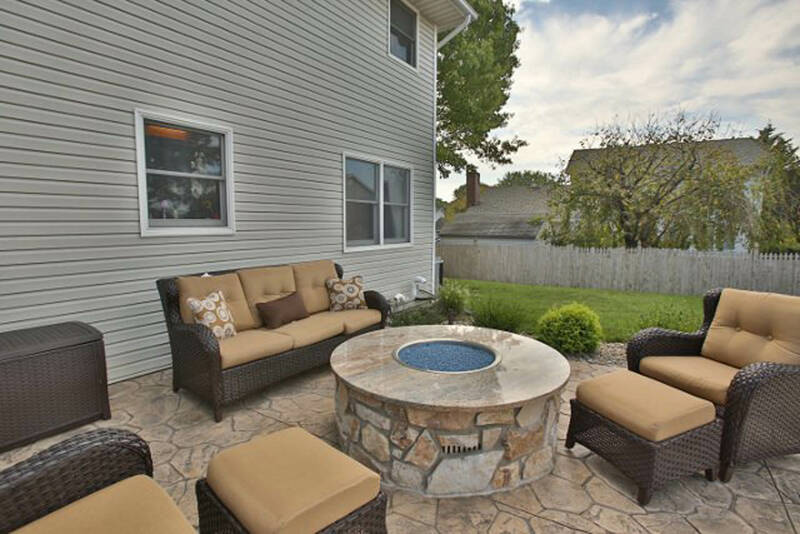 Fire pits are one of the first features that are added in newly designed backyards. Fire pits can be purchased a single entity, usually made of a metal frame or they can be purchased as stone kits that need to be installed. Outdoor fireplaces are much larger and much more expensive. They should be professionally installed.